There's more to Philadelphia than just Philly cheese steaks. It's also become the city for yoga. Whether you're traveling or you live there, there are plenty of yoga studios to check out in Philadelphia. Their yoga studios are perfect for both newbies and yoga aficionados. Each of these studios will help you find your flow and feel centered in the middle of this incredibly busy city. Philly Yoga Factory, originally named CPY, originated in 2015. The name change happened after they relocated in Rittenhouse and offered daily yoga classes. Don't be scared off by the steep prices because it's well worth it. This yoga studio has immaculate locker rooms, spacious studios, and upbeat instructors. They have a wide range of classes from Core Power Yoga to Hot Power Fusion. Newbies can enjoy a free week at their studio. This yoga studio located in the Old City is more chill than the Philly Yoga Factory. It's a great studio if you just want to unwind and stretch after a long day. It's not all about relaxation though. There are some classes that have dynamic and high-octane moves. Not only will you build up your strength, but you'll sweat a lot in these heated classes. The owners have been able to convert non-yogis. There's a class for everyone here. Whether you thrive on sun salutations or you're a yoga lover, the Torc Yoga studio on Second Street will greet you with a Vinyasa that's designed for you. The Yoga Garden is located in South Street. It offers a wide variety of yoga classes, including Power Yoga, Vinyasa, and Yin Yoga. This studio aims to improve your alignment and awareness so that you will get the most out of your yoga practice. Once you enter the studio, the scent of essential oils and the sound of water flowing will take over. D Gary Young was the founder of Young Living Essential Oils. These oils are an important part of your yoga practice. Not only do they help you relax, but they also help you focus on your practice. This friendly and non-competitive environment allows you to learn yoga at your own pace. It's a personalized approach to yoga that doesn't feel intimidating. The instructors take the time to get to know their students. New students are always welcomed at this studio. The Yoga Garden wants you to focus on the little things instead of the athleticism of yoga. Into hot yoga? Then you'll fit right in at this studio. It's the perfect studio for aspiring yogis as their instructors guide you through the entire process. Their studio isn't as hot as others, which is good for those who are nervous about the experience. They have plenty of themed yoga classes that take place in their classrooms, which look like a work of art. It's a safe place for those who want to learn about the essentials of yoga. Their $40 per month package includes unlimited hot yoga, which is hard to pass up. This yoga studio has plenty of locations in Fairmount, South Philly, and Rittenhouse. It's impossible not to find a yoga studio in the Philly area. Wake Up Yoga offers Vinyasa and Yin Yoga in their brightly-lit and clean spaces. These studios are cooler than the others mentioned on this list. You won't sweat during any of their classes. You can even cool down in some of their restorative classes if that's more your speed. This studio teaches you about mindfulness and yoga. This bright studio is hard to miss due to its brightly-lit location in Center Studio. Sanctuary's goal is to promote peace and calm while letting the light into your life. Their classes are affordable, and they offer a wide range of meditation classes and workshops, depending on your experience level. Dawn Castell is a budding entrepreneur. After graduating with her MBA, she spent a few years working in the CPG industry and a few more working in the business tech industry before she set off to start her own business. She has been consulting with businesses, large and small, on the side ever since. Philadelphia, PA is one of the most populated cities in the United States. The city is also the home to many large businesses and is a popular place for business people to travel to. While a business trip is often very full of meetings and professional activities, there are bound to be some downtime. During this time, there are many things that could be a lot of fun to do when you are in Philadelphia. Philadelphia is one of the oldest and most established cities in the United States. It has been a major part of the country ever since the Revolutionary days. Because of this, there are many meaningful historical landmarks that are scattered throughout the city. When you have some down time, it would make a lot of sense to spend it walking around the city to look at these. Some of the best landmarks include the Liberty Bell and many other options that are scattered throughout Independence Park. If you are a sports fan, you will be in luck because Philadelphia is always going to be a great City for going to see live sports. The city is very well known for their passionate fan base and for having some very successful teams. Some of the most popular teams in the city including the Philadelphia Phillies, the Super Bowl champion Eagles, 76ers and the Philadelphia Flyers. For those that are fans of college basketball, the Villanova Wildcats play their home games just a few blocks from downtown Philadelphia. Due to the demand for these games, it would be a good idea to have your tickets booked in advance. Otherwise, you could end up paying more for surge prices for those games. Another fun activity that a businessman could do when they are in Philadelphia is to go out on the open water. While it is not a coastal city, there are still plenty of lakes and other waterways that are great for boat lovers. When taking a boat out of boat storage, one great place to go to would the Delaware River. When you are on this river, you will have plenty of space to boat around and relax. You could also catch come great views of downtown Philadelphia and western New Jersey. When you have some time away from meetings and business events, you should also look into going to one of the best restaurants in Philadelphia. The city is well known for having a wide range of great restaurants, which include steakhouses, seafood, and eclectic restaurants. No matter where you are staying in the city, you will be able to find a great restaurant that can provide you with a delicious and memorable meal. You should also consider going to Geno's, which is well known for their amazing Philly steak sandwiches. These are unique sandwiches that put a combination of chopped steak, onions, and cheese onto a hoagie roll. While many cities have current and former professional athletes to claim as their own, Philadelphia may be unique because their most famous sports hero is fictional. Philadelphia was the home of Rocky Balboa during the "Rocky" film series. Overall, it has been shown in nearly 10 different "Rocky" and "Creed" films over the past 30 years. Today, there are a variety of guided and self-guided tours that you can take that will show you some of the most iconic scenes and filming locations from the movie series. This includes the "Rocky Steps" and the "Rocky Statue," which are some of the most famous landmarks in the entire city. When you are looking for things to do in Philadelphia, there are plenty of great options to consider. Those that have the spare time should consider doing these activities with coworkers, clients, or by themselves. By participating in these activities, you will get enjoy all that Philadelphia has to offer. Lee Flynn is from the Wasatch Mountains near Salt Lake City, UT. After Lee spent years preparing himself, his home and his family, he decided he had to do more. In his free time, Lee helps educate those who want to do the same. Through small local workshops and articles, Lee trains and teaches others on home preparation, food storage techniques, wilderness survival and self reliance. After obtaining a bachelors degree from the University of Utah, Lee moved to the Salt Lake Valley where he now lives with his wife and daughter. The economy has had its ups and downs, but millions of Americans are still confident enough to be starting their own companies, according to new data from Babson College. Small businesses are finding it easier to take out loans from local banks among other positive signs. Before you quit your day job hoping to launch the enterprise you’ve always dreamed about owning, however, it would be smarter to first develop the skills you’ll need for your idea to be successful. If you live in Philadelphia, a uniquely abundant number of resources to assist in the small business development process that are available. Score, a nationwide organization, offers its services to those in the Philly area who are interested in going into business. Its mission is to provide mentoring programs that help in the process of getting new businesses off the ground. SCORE goes well beyond offering workshops and general advice on their website. It links prospective entrepreneurs with mentors who provide real life guidance based on their own experience creating business plans and making them real. National and state government agencies are some of the last markets companies consider selling into when getting started. You don’t have to be Lockheed Martin or AT&T, however, to win government contracts. You just have to familiarize yourself with the certification steps that are necessary to do so, which might seem complex, but the City of Philadelphia Business Services is part of the local government, so they’re particularly knowledgeable about what it takes. They also provide extensive assistance with issues such as tax preparation and bidding for state contracts. If you’re a young woman interested in launching a business that’s tech driven, Girl Develop It is ready to assist. It’s nonprofit, so the programs they offer to women looking to hone software and web development skills they weren’t able to in formal school settings, are game changers for many. Students who've completed online degrees may enjoy attending GDI workshops that sell out quickly. They’re affordable, popular and draw women of diverse backgrounds. 163,000 members participate in their programs, not only in Philly but around the U.S. It’s a superb network. StartupPHL is an organization run jointly by the local Department of Commerce and a community non profit economic development corporation known as Philadelphia Industrial Development Corporation (PIDC). StartupPHL strives to stimulate the tech economy and culture in Philly, so this is where you come when you’re an early stage tech company seeking seed money. The Sustainable Business Network of Greater Philadelphia spreads awareness about green business. It's actually made up of a variety of small companies around the Philly area invested in doing business in a green friendly way. A partnership of organizations already engaging in sustainable business practices that are ecologically responsible and good for the environment, it's got a distinctive mission. Those interested in adopting green policies and practices can benefit from the many programs and resources made available here. The Women’s Business Development Center first opened in 1995. Women who want to start and run their own businesses will find an array of help here. The center assists both those already operating small ventures of their own as well as those who are just considering the idea. The assistance offered includes everything from workshops led by panels of experts to classes you can participate in online. It takes heart to go out on your own instead of working for someone else because the risks are so much greater. Almost everyone thinks about being their own boss at least once though, so if you’re one of them and a Philadelphian, there have never been more ways to ramp up for that moment. Brett Clawson is a business owner and entrepreneur with over 10 years of experience. In his free time, he enjoys writing and learning about emerging business trends. Having an eco-friendly home is a must. People have been converting their homes more and more to make sure that they don’t need to consume as many resources. Philadelphia is actually doing well when it comes to green living, ranked at number eight in the nation for green residential projects. In spite of this, it is troubling that the UN recently posted that the world has 12 years to reduce the impact that people are making on the environment before we face catastrophe. Of course, one person can’t make the change alone to save the world. But if one person turns to hundreds and hundreds turn to thousands, we're able to stop global warming one step at a time. Regardless of whether you are in Philadelphia or the other side of the world, going green is no longer a choice. It should be regarded as a personal responsibility. 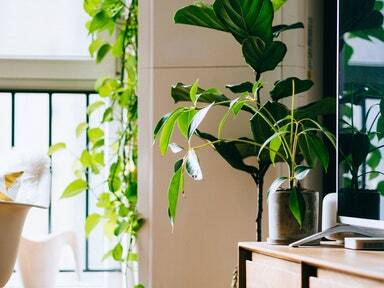 By making simple changes to your home, you can create an eco-friendly environment that you and your kids can thrive in. We flip on the switch every time we enter a room. The problem is that we often forget to turn off the lights in the rooms that we leave. There’s really no need to have the lights on in rooms that we’re not using. By making the simple effort of turning off the light, you can reduce the impact that you’re making. To do even more, go through your rooms and change all the light bulbs to LED. That way you won’t have to worry about the lightbulb wasting energy when you have them turned on. Another great way to save energy when it comes to electricity is by using solar panels. You can look into the cost of solar panels to make sure that it would be in your long-term budget. Another great way to take steps to do more for the environment is by recycling rather than throwing stuff away. When the garbage truck picks up the trash every week, we don’t really pause to think where all of it goes. We don’t consider the landfills that are filling up every day and the consequences of filling the ground with things that take thousands of years to decompose. To stop that process, find ways to recycle instead. Use products that have recyclable packaging so that the process becomes even easier. If you can, start a compost bin in your backyard and start a garden. That way you can throw away food and use it to grow your new food. Citizens in Philadelphia can recycle many different items, but items like light bulbs, plastic bags, tissues, or paper towels are not acceptable recyclables. You can find a complete list of items on Philly’s recycling guide. The meat industry is responsible for a surprising amount of pollution. There’s runoff from the farms, methane from the waste produced, and the main cause of deforestation is due to the meat industry as well. Although livestock only contributes to 18% of calories, they take up 83% of farmlands. If the land that was used for animal agriculture was used for plant growth instead, we could feed the entire population of the earth and have a chance at ending world hunger. By cutting meat (even a little bit) from your diet, you’re saving the environment the people starving. Of course, there’s a certain amount of water that you can’t help but use each day. But there’s a lot of water that we also waste. Sometimes, we stand in the water in the shower too long. Other times, the water is left on while we brush our teeth. By turning the water off, taking shorter showers, and taking showers instead of baths, you save a ton of water. To heat up water, you have to use gas. In order to decrease the amount of gas that you use each day, try and take showers that are just a bit colder. Your car won’t mind if it sits in the garage a bit more than usual. Rather than going out in a single car, try carpooling with other people. When that’s not available, take the bus or another form so public transportation. If you’re close enough to walk, then walk or ride a bike to reduce the number of emissions that come from transportation. The best thing that you can do is to make constant and consistent changes to your life that will make it more eco-friendly. Get your friends, family and neighbors involved in the movement to create a more sustainable environment. With increased activism, Philly could easily rank number one for green residential projects in upcoming years! Graduation is an exciting time for college students, but it can also be a nerve-wracking one. The transition from student to professional can seem like it's supposed to be instantaneous. Because of those expectations, many college graduates end up feeling lost and bewildered as they try to jump-start their careers. That doesn't have to be you. Try to keep things in perspective after graduation. You’ve just finished a rigorous study of many subjects which demanded many late nights and early mornings. You probably had to drink a few too many energy drinks to stay alert during class. Life is different in the professional world, but you will make the transition with time, just as you did from high school to college. Now, with that in mind, here are some ways to find a quality job after college. Right out of college, you won't have a resumé that's packed to the gills with jobs, but that doesn't mean you can't create a persuasive resume. You need to focus on what skills you've gained and how they'll be marketable in your professional life. For starters, you can consider your college career. What was your major and how did your classes help you develop? If your degree is going to be in computer science, tout the various programming languages you're proficient in. Any internships that you took part in should also be on your resumé. Part-time jobs, such as ones in the service industry, might not be entirely relevant to the jobs you're looking for, but they're still worth mentioning in the early stages of your career and can demonstrate desirable job skills, such as teamwork and problem-solving. You have a strong GPA and are about to get a college diploma? That's great, but you're unfortunately not alone. Competition among college graduates for jobs is fierce. To stand out amongst the crowd, you have to put yourself out there. Networking simply means you put your name on the lips of just about every professional you can. This can be done through professional events, such as job fairs, through speaking to family members, or just by pure happenstance. The point is to build up as many contacts as possible. Don't put too much pressure on them. Simply say that you're about to graduate and are looking to start your career. When openings are available, they should have you in mind. The job interview is a situation that puts many on edge. While indeed stressful, they can be made much more bearable through preparing and learning how to interview. Success in a job interview starts with confidence. You need to show the interviewer that you're the best person for whatever job you're interviewing for. To build your confidence, you need to research. Learn all about the job you're interviewing for, from its history to its department heads. You can also learn to work through your nerves. Coaching for interviews for college grads is available and should be taken advantage of as soon as you can. If you think your resumé is lacking actual, desirable skills (between generic qualities like "detail-oriented" or "highly-motivated"), now is the time to start boosting it. Look for what the most sought-after "hard skills" (ones that are able to be properly measured) are. Take time to get familiar with as many of these as possible. This could mean increasing your typing speed, learning a programming language, or developing Spanish fluency. Learning new skills can help show your versatility to employers and further your brainpower. A good job after college might not be your dream job, but it can definitely be one that's satisfying and teaches you invaluable skills. In the months ahead of your graduation, you should be putting as much time and energy as possible into polishing your resumé, making connections, learning to interview, and building your skills. When it comes time to apply, you'll show managers that you have what it takes to work for them. There is a need for entrepreneurs and small business owners to have a community. This is because entrepreneurs are more robust together. In the modern economy, personal connections and networking are more significant than ever. When you are the sole decision-maker in your business, the company’s success falls on you. Connecting with other small business owners who are aware of exactly what you are facing is essential. Additionally, social connections have a long-term effect on our health similar to quitting smoking and eating well. Mastery of a new object or task can lead to improvement in your cognitive functioning. Creating sufficient time to attend a course in business is not feasible for every business owner. Therefore, learning any skill online is a start. In the long run, being an expert in a new skill could lead your business to be on the front line of a business trend. Hence, short-run investment of time could lead to payoffs in the long run. Coming up with a balanced business budget, creating a business plan, and preparing payroll will always compete with your sleeping time. However, there will always be long-term impacts of denying yourself sleep. These include cardiovascular diseases, mental health problems, diabetes, and obesity. Additionally, lack of sleep can have adverse effects on your business. According to a study by Harvard Medical School, sleep deprivation costs the economy of US $63 billion annually as a result of lost productivity. Lacking sleep reduces your work output level and reduces innovation. Therefore, make a commitment to sleep early and have enough sleep. Eating healthy is an easy way to live a life that is healthy. Even the tiniest changes can lead to a significant difference. For instance, replacing soda with water is a fast way to reduce the intake of sugar and reduce weight. Also, eating low carb foods can quickly reduce your weight. You can do this by carrying your own food to work that is rich in vegetables, fruits, and proteins as opposed to carbs. Daily workout routines keep your mind fresh while keeping you happy. An essential key to success is to maintain a positive outlook and mindset. Due to all the challenges that business owners face on a daily basis, any edge can be beneficial. More benefits of working out for entrepreneurs include improved problem-solving skills and better work-life balance. You can work out at any time but morning is the best time. A morning workout will get you in the right mind frame to efficiently handle your tasks. As an entrepreneur, avoiding stress is not possible. However, you can learn to manage it. It is essential that you learn to control it and prevent it from impacting your decision making process and mindset. In addition to affecting your personal health, stress also negatively affects your business. Stress can destroy relationships with both potential and current clients if you allow it. Hence, learn to keep stress at bay and manage it during significant times. This is important because the more successful your business becomes, the more stress you will face as a result of a wide variety of challenges. Maintaining a regular routine is excellent for holding yourself accountable and staying on track. When you have a lot to do, you will find yourself accomplishing tasks quicker if you have a routine. While the toughest part is actually doing it, you will get used to the routine with time. Maintaining the health of your business together with your personal health is key to your success as an entrepreneur. This will offer both growth and sustainability for your business. Surprisingly, the smartest people sometimes make the worst money mistakes. The principles of behavioral economics guide most financial moves that people make. Unfortunately, some people make financial decisions based on their emotions, rather than on rational thinking. Learning to balance your finances and meeting your short-term and long-term financial obligations is an essential skill. However, making these money mistakes makes it harder than it should be to achieve your financial requirements. Fortunately, you can make these mistakes and set up yourself for economic success in the future by avoiding these common mistakes. The secret to avoiding most money mistakes and achieving your financial goals is by saving money. However, you cannot save money when you spend everything you earn. You can avoid spending all your income by focusing on your dreams and using them as motivation. Also, ensure that the dream that comes top in your priority list comes first on your disposable income. The other trick to avoid this common money mistake is to know your income and expenditure. You can consider dedicating 50 percent of your income to home necessities, such as debt payments, food, housing, transportation, and medical care. Allocate five percent of your income to a savings account to take care of one-off and unexpected expenses like replacing your gadgets and attending events. Also, contribute 15 percent of your pretax income to retirement savings. Most people have reasons, or rather excuses for not saving for retirement. However, you need to save for your retirement now that you are making money because you will be in a position in the future to make money, yet you will still have to support yourself. Therefore, you need to set aside part of every dollar that you earn now that you can work towards funding your non-working years. You can open an account with the retirement authorities if your employer does not provide a retirement savings plan. You have at some point in life build up a pile of credit card debt. A shopping trip here, dinner here, road trip here, and before you realize it, the minimum payment on your credit card balance takes a substantial chunk of your paycheck. Consequently, interest charges add up, which saps your ability to save towards your financial objectives. The best way to avoid this mistake is to make timely payments and avoiding carrying balances on your credit cards from one month to another. Also, you can consider negotiating lower interest rates than before if you do not have balances. Also, if you frequently rely on your credit cards to cater for essentials or unexpected expenses, you should review your spending habits and work towards having an emergency fund. You should consider what happens to your family or children in the event of your death. You need to invest in an adequate life insurance policy to ensure that your family is protected in the eventuality of your sudden death. Also, you should avoid driving around with an insured car; it can make you broke before you even realize it. You should search around for the best auto insurance near me. The truth is that you don't save money by avoiding insurance. Instead, you risk being bankrupt. You need to ask yourself why you have constant payments and consider whether or not you require the items. Items, such as fancy gym memberships, cable television, and music services usually force you to pay continuously, but you are left owning nothing. You can consider coming up with a leaner lifestyle to reduce the never-ending payments to fatten your savings. Similarly, you should avoid spending too much money on your house. Unless you have a huge family, you should avoid living in a big house because it will eventually drain your finances. Seeking out and applying for a new job can be intimidating, especially if you don’t know what hiring managers are looking for. However, there are valuable steps you can take to make a powerful, lasting and positive impression on others, whether it be recruiters or just people you network with. Taking these steps can also improve your chances of landing the job you really want. If you are in the market for a new job, here are five easy ways to stand out from other applicants. If you want to stand out from the crowd and prove you are the best applicant for the job, you will need to craft a professional and effective resume. Your resume may be the most important component of your job search, and more than likely, it will have a huge impact on whether you are called in for an interview. Studies show that managers spend a relatively brief amount of time actually reading resumes, an average of 10 seconds, so you must create a document that grabs the attention of readers within that time. Make sure they read the skills and experiences you want to highlight by placing them towards the top of your resume. If you aren’t sure how to make your resume a page or less, or how to maximize the information you put on it, you may want to consider hiring a professional resume writing service such as Employment Boost. They can provide helpful insight and make your resume crisp, concise, and marketable. • Use a unique and visually appealing format. • Proofread to avoid misspelling words and making grammatical errors. • Limit your resume to one page in length (this is not a hard and fast rule). • Write a powerful and compelling professional summary. • Incorporate keywords from the initial job posting into your resume. When writing your resume, only include information about past jobs if they are related to or required the same skills as the one you are applying for. Very few applicants actually follow up after a job interview, but many don’t realize doing so can land you the job and set you apart from other applicants. It is wise and looks really good to send a thank-you email or note within 24 hours after the interview. About a week later, send out another email if you haven’t heard anything back from the interviewer. Use this second email to promote yourself again and highlight your talents. Following up can show the hiring manager you are genuinely interested in the job you applied for. Instead of a run-of-the-mill cover letter, you may want to submit a “pain letter” in instead. A pain letter, much like a cover letter, underscores your qualifications and interest in the job. However, unlike a cover letter, it identifies a problem the company or department is facing and provides a detailed solution. Applicants can use a pain letter as an opportunity to show off their knowledge base and prove they are the right candidate for the job. Remember, a cover letter isn’t about what the company can do for you, but rather how you can be an asset to the company. Make them desperate to hire you! If there is no posted salary, it is acceptable to inquire about compensation – you may want to avoid working for companies that do not discuss salary when hiring. Networking can be immensely helpful during a job search, and if you can contact a recruiter or hiring manager prior to applying or interviewing, you can greatly improve your chances of getting hired. Reaching out to company workers beforehand can also prove you have an interest in the company and the open position. Even just reaching out to your network for informational interviews can be a huge bonus. Don’t necessarily go just to ask for a job, but to ask for advice, get referrals, and build rapport within the company. By keeping the tips listed above in mind, you can stand out for all the right reasons and increase your chances of getting the job you desire. Seeking out and applying for a new job can be intimidating, especially if you don’t know what hiring managers are looking for. Virtually everyone will have the task of having to find a new job eventually, but many people do not know there are steps you can take to make a powerful, lasting, and most importantly, positive, impression on others. Taking these steps can also improve your chances of landing the job you really want. If you are in the market for a new job, here are five easy ways to stand out from other applicants. If you are starting a business in Philadelphia, then you are in luck. While you might feel overwhelmed with figuring out what kind of business you're going to start. It's not going to be as difficult as you think. Philly has a range of market opportunities that work well for startups whether you are focusing on technology, service, design, or some other key need. You can't get much broader than the health market if you want to create a startup that appeals to the most amount of users possible. However, be careful of going too broad. There are already enough people interested in the general health market that you have plenty of room to specialize. If you niche down on something like health for people looking to increase muscle, reduce their weight, or improve their marathon time, then you already have a smaller segment to focus on. This will allow you to test your marketing more inexpensively and gain a deeper understanding of your market. It takes minutes for hackers to get into your system, grab data, insert viruses and other malicious code, and get out without you even noticing. The implications of this, from making your customers vulnerable to leaking company secrets, can be disastrous for businesses. If you or one of your core founding members has a background in IT or network security, you can leverage this to provide a crucial services to businesses in Philly. And hiring should not be an issue, as Chicago resume writers will tell you they're preparing more people than ever for a career in IT. In addition, your proximity to other major cities expands your potential market by a large margin. There are a lot of metrics that people can track to improve their fitness. And now, more than ever, people are using their phones to help them achieve their fitness goals. If you create an app around this need, you can have a scalable business that allows you to generate cash flow or build to an exit or IPO. Banks and large financial institutions all have offices in and around Philadelphia. FinTech is a growing field that is affecting every corner of the planet. If you can help financial companies grow their revenue, reduce costs, or improve the experience for their customers, then you can generate a large amount of business quickly. In turn, you can invest more in rapid expansion to quickly become a major startup. From logistics, to franchises, to healthy food alternatives, you can make a living in the food industry. As a startup, ask yourself what your key advantages are over the competition. You might find that you appreciate logistics, design, or another area of the food industry. Follow this hunch and see where there is an unmet demand. People spend a lot of money each year trying to have fun. Businesses are all about solving problems. And not having fun is a problem that it pays to solve. Consider a promotions company. Or offer niche entertainment services. There is a wide variety of potential startup ideas in the realm of helping people have a good time. Don't limit yourself to live events, either. Web content is a fast growing segment of entertainment that is easily scaled to reach a global audience. Consider investing in camera and editing resources. Great video converts more than ever. Then, make sure your marketing videos help position you as the premier fun startup in the region. If you want to get the most out of your time as a startup founder, you need to choose a market that is big and hungry enough. Once you know that there is a major need that needs to be filled, you can get your marketing game plan in place and start taking action. So ask yourself if you would be happy running one of the startup concepts above. Then, enjoy the sights and sounds that Philadelphia has to offer in addition to business resources. From tiny startups to established companies, all businesses need good marketing strategies to promote themselves and reach new customers. The problem for many smaller businesses, though, is that traditional marketing can be an expensive proposition. The good news is that there are many inexpensive ways to market your business, including some that cost no money at all. Here are some of the low-cost marketing strategies you can try if you think that marketing simply isn't within your company's budget. Facebook is one of the best platforms for small business marketing. In large part, this is due to the fact that advertising on Facebook is extremely inexpensive. On average, 1,000 ad impressions on Facebook will cost you about $7.19, making it easy for even the smallest businesses to reach thousands of people with every ad campaign they run. At the same time, Facebook's ad targeting system allows you to very narrowly target your ads to your ideal customer base, making it more likely that you will see a high conversion rate. Although Facebook is inexpensive, YouTube is an essentially free way to market your business. By making even simple videos using your phone's camera, you can create content that will bring in viewers and give you an opportunity to introduce your business. To utilize YouTube as a marketing platform, you'll need to make interesting or entertaining videos having to do with your business niche. Try to stay away from simply making commercials, as these won't engage your viewers. It's better to provide useful information throughout your video, then bring up your business briefly at the end. If you offered credit repair services, for instance, you might create videos giving actionable advice about how people can improve their credit, then mention your company as a fast track to achieving results as the video is concluding. Email marketing can be one of the most successful promotional channels for your business. By capturing emails from visitors to your site, you can connect with them over and over again and gain several opportunities to turn them into paying customers. To capture more emails, you can offer savings or free informational products to people who sign up to receive emails from you. Free guides and ebooks can be excellent incentives for people to sign up to email lists. By building an email list, you can easily and inexpensively capitalize on the people who are already coming to your site. SEO, or search engine optimization, is essential for any business that sells its products or services online. SEO can help your website rank higher for specific search terms on Google, Bing and other search engines. By optimizing pages on your site to rank for different search terms, you can increase the number of people who will find your business organically through search engines. SEO is inexpensive, especially if you learn to optimize pages yourself. Even if you have to pay for SEO services, though, you're still making a good investment, as better SEO will result in a steady stream of increased site traffic. These are just a few of the ways to increase the exposure of your business if you're on a budget. Even if you can only allocate a small amount of money to marketing, it's important to use all the tools you have at your disposal to promote your business and gain new customers. As your business expands, you'll find that you are able to put more resources into your marketing strategy, producing a cycle of gradual but continuous growth. For beginners and very small businesses, though, these methods can make marketing accessible without incurring too much financial risk. Your Words. Our Stage. Have an opinion? This is YOUR forum to say essentially whatever's on your mind, just keep it clean is all we ask. Interested in becoming a regular on Philly Buzz? CLICK HERE to create a profile to create your own articles without going through the submission process. © 2009 Philly2Philly All rights reserved.